Bananas are the ultimate tropical fruit. Growing in tight bunches on trees with thick green leaves, and big purple flowers, all ready to eat in their own bright yellow wrappers. Creamy and full of things that are good for you. Truth be told, however, I’m not actually a huge fan of bananas. I’ll have a banana every now and then on my muesli – and usually I’ll enjoy it, ladyfingers especially – but I’m more likely to reach for an apple, or a peach, or whatever else fruit we’ve got laying around. My problem with bananas is the timing; not ripe enough and they’re inedible, too ripe and they give me the shivers, in the bad way. W, it seems, has inherited this particular taste from me; whenever we try giving her some banana she tastes it, curls her lip, and throws it on the floor. It’s all cherries, fresh figs, and quinoa for W! And on top of that, we can’t seem to get the hang of them in this tropical weather. We buy them not-quite-ready and leave them out on the bench to ripen, and then they seem to skip perfect-to-eat, and suddenly they’re overripe. In the end though, none of that really matters as I LOVE banana bread. Overripe bananas are the universe’s gift to banana bread, the ultimate in cake-disguised-as-bread, perfectly acceptable for breakfast and equally delicious as dessert. I also love coconut, lots of it, in practically everything. Hence the perfect match of banana and coconut. 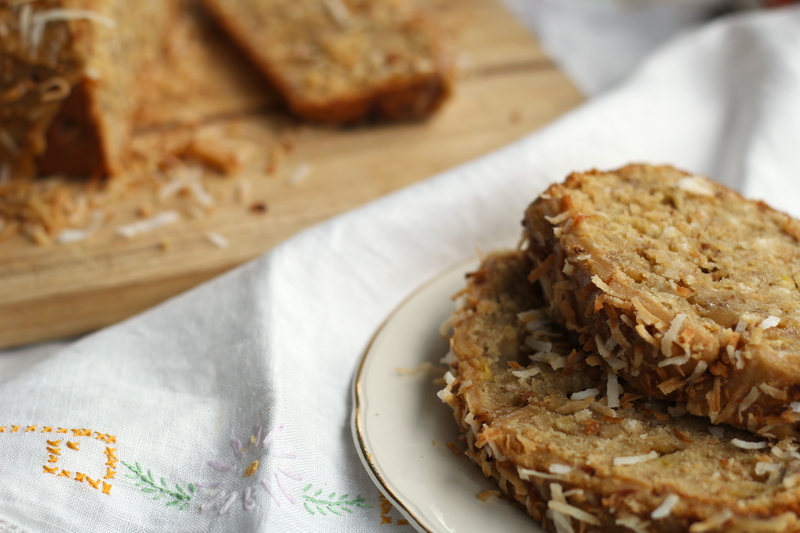 This recipe is loosely based on Heidi’s delicious Sesame Banana Bread from 101 Cookbooks. In particular, I borrowed her brown sugar glaze and it is so good! Nice and lemony, with coconut oil that I added in giving it a hint of coconut linger. 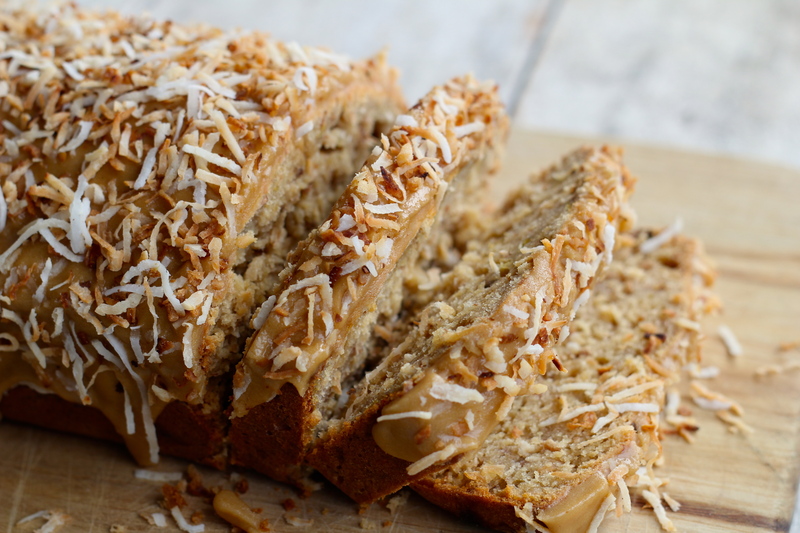 You may be tempted to skip it in favour of a healthier loaf, but it really makes this banana bread sing. That, plus the three types of coconut, especially the heaps of toasted coconut. 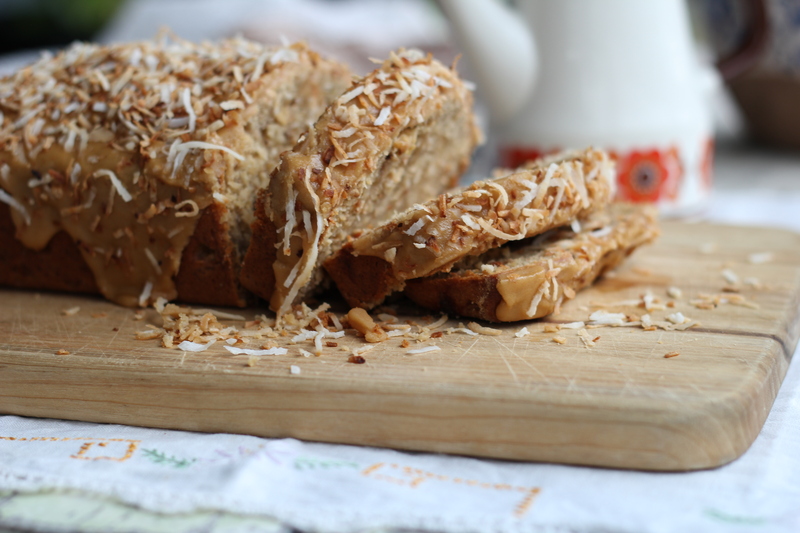 I regularly bake banana bread, usually with a new recipe or twist each time, but with the coconut spin and the brown sugar glaze I think this one is my favourite iteration so far. S even declared it the best banana bread that I’ve made – and he’s a tough crowd! We enjoyed slices of this bread still warm from the oven the evening that I baked it, and then it lasted us through most of the rest of the week, packed in his lunchbox to eat at work for S, and as a delicious morning snack with a pot of early grey tea for me. 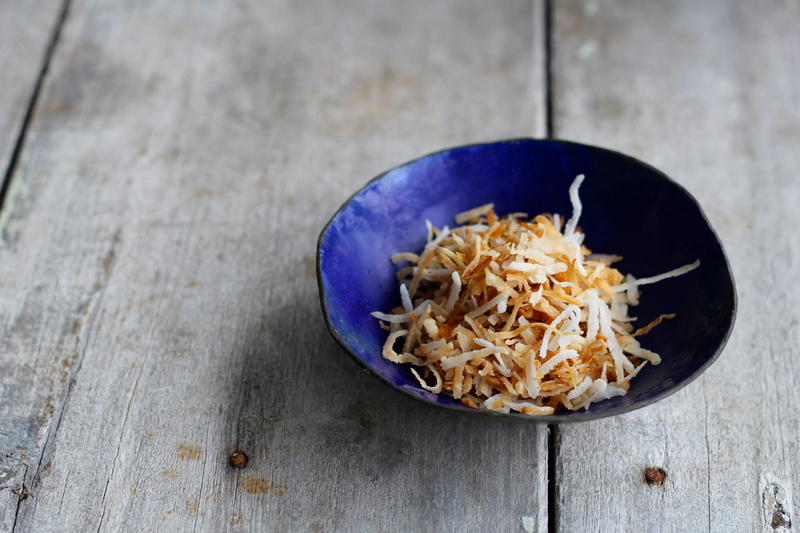 Toast the shredded coconut in a pan over a high heat, tossing continually until it starts to brown and smell deliciously toasty, about 2 minutes. As soon as the coconut browns, remove from pan and leave to cool. Mash bananas with a fork, add the lemon juice, and set aside. In a large bowl sift together flour, baking soda, and salt. In a medium bowl beat the eggs with the sugar until light and fluffy. Add the oil, yogurt, and vanilla and mix to combine. Add the mashed banana and stir through. Fold the wet ingredients through the dry, add 1 ¼ cup of the toasted coconut and mix until just combined. Grease and flour a regular-sized loaf pan, pour in the batter, and bake for 45 – 50 minutes, until the top starts to brown and a skewer inserted comes out clean. Leave to cool in the pan for about ten minutes, then remove and leave to cool completely on a wire rack. To prepare the icing, sift the brown sugar and icing sugar into a bowl. Add the coconut oil and lemon juice and whisk until smooth. Smooth the icing over the cake using a spatula or a butter knife, letting the excess drip down the sides. 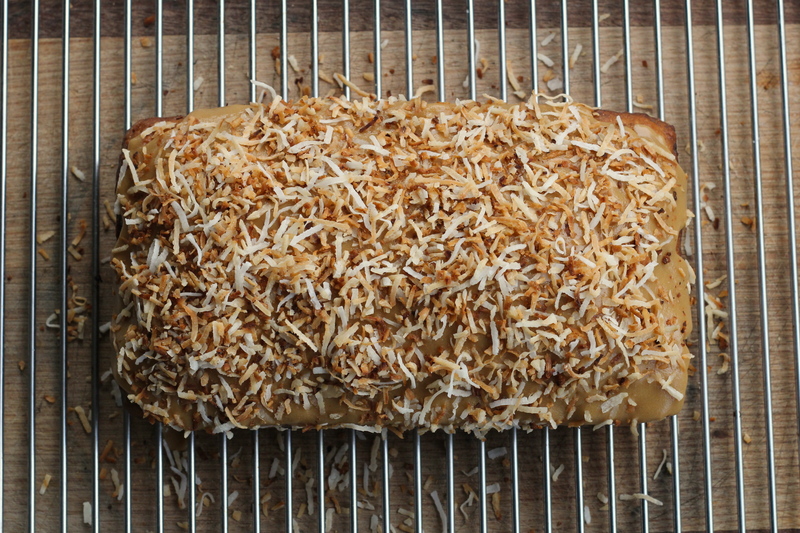 Sprinkle liberally with the remaining ½ cup of toasted coconut, and leave until the icing firms up. This banana bread will keep moist and delicious kept in an airtight container on the bench for 3 -4 days. Notes: if you can’t find coconut yogurt, go ahead and replace it with regular plain yogurt. 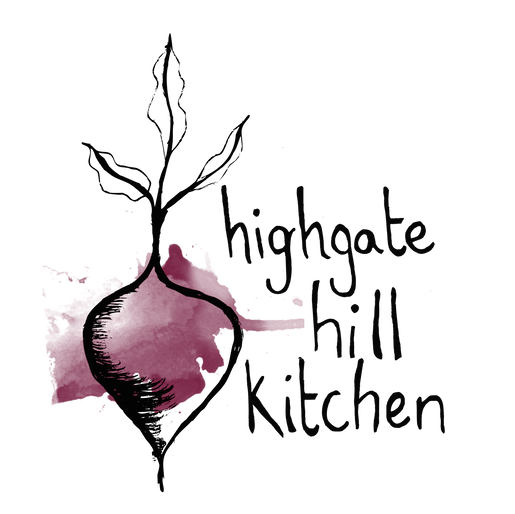 Also feel free to play around with the flour, substituting a cup of the plain flour for wholemeal, or even buckwheat or spelt flour. You definitely should – it’s my new favourite icing. I’m even considering putting it on my morning muffins (although that would make them less breakfast-y and more dessert)!